23RD OCT: BRITISH RED CROSS ENQUIRY: ‘A VERY SAD REPORT ABOUT YOUR SON’. 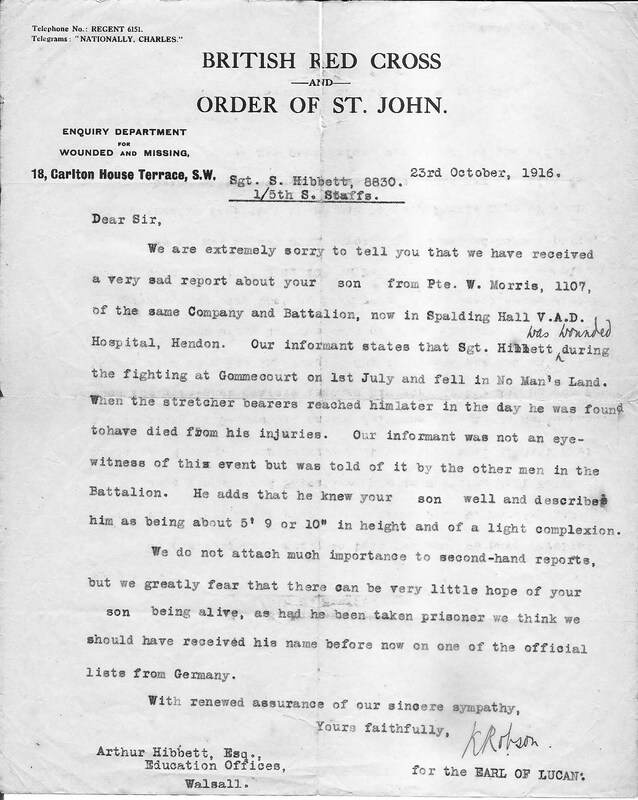 BRITISH RED CROSS & ORDER OF ST.JOHN Enquiry Department for Wounded & Missing: LETTER to ARTHUR HIBBETT Esq. Education Offices, Walsall (1). We are extremely sorry to tell you that we have received a very sad report about your son from Pte W. Morris*, 1107, of the same Company and Battalion, now in Spalding Hall V.A.D. Hospital, Hendon (3). Our information states that Sgt Hibbett was wounded during the fighting at Gommecourt on 1stJuly and fell in No Man’s Land. When the stretcher bearers reached him later in the day he was found to have died of his injuries. Our informant was not an eye-witness of this event but was told of it by the other men in the Battalion. He adds that he knew your son well and described him as being about 5’ 9 or 10” in height and of a light complexion (4). We do not attach much importance to second-hand reports but we greatly fear that there can be very little hope of your son being alive, as had he been taken prisoner we think we should have received his name before now on one of the official lists from Germany (5). Yours faithfully, K. Robson for the Earl of Lucan (6). Arthur Hibbett, Education Offices, Walsall. In the four months after 1st July, the first day of the Battle for the Somme, the Hibbett Family had heard nothing about Serjeant Sydney Hibbett’s whereabouts, except informal verbal reports that he had fallen in No Man’s Land opposite Gommecourt Wood. [See my father’s Memories of the First World War; Letters from H.E.Bird, QMS Chaplain, 1/5th Staffords/19.7.1916; Sgt W.Gried(sp?) 17.8.1916; ‘Your Old Pal Ben’/19.9.1916]. This Letter from the Red Cross was obviously in answer to one from Arthur Hibbett giving details of his son’s rank, height & complexion, and asking whether he had been taken prisoner. Sadly the Red Cross news was still second-hand. No eyewitness evidence had yet come forward. 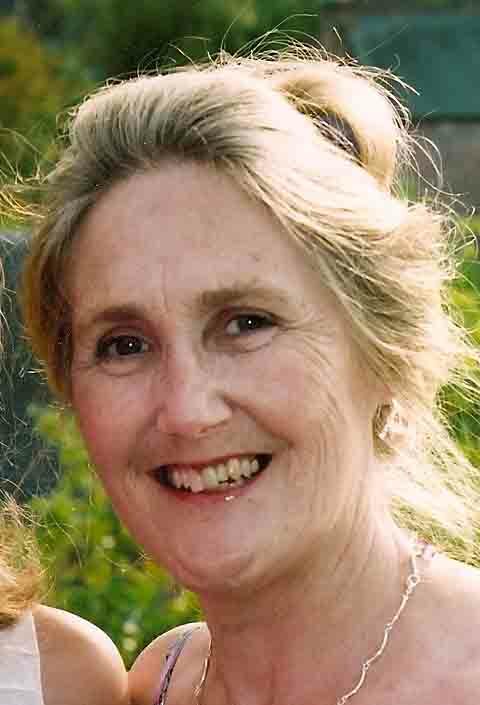 The Family had to wait nearly three years before they received official notice from the War Office that Sydney Hibbett was ‘Missing Presumed Killed in Action’ and a further year or more before they found what is ‘believed to be’ his grave. NB. This Letter is an example of a War Office directive to discard official forms when answering enquiries, so that families might feel ‘a personal interest was being taken’ in their loved one. (1) Education Offices, Walsall. No doubt in order to protect their Mother from receiving distressing news at 95, Foden Road, Bertie Hibbett & his brother had arranged for War Office Letters to be sent to their Father, Arthur Hibbett, Chief Education Officer for the Borough of Walsall. Carlton House Terrace, near Trafalgar Square, London. 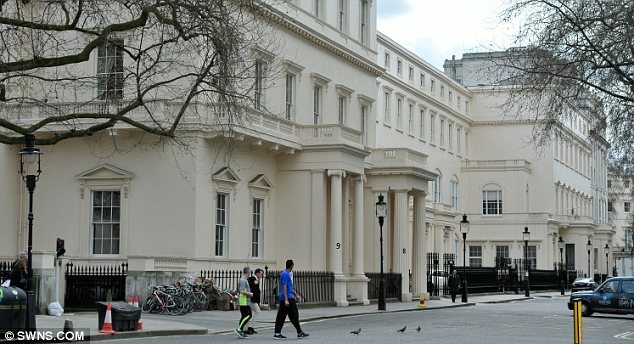 (2) Carlton House Terrace: Regency Mansion Grade 1 Listed. Lent by Lord Astor to Red Cross for duration of War. (Terrace also housed Lady Ridley’s Hospital). (Sold in 2013 for £250 million/’ size of football pitch’). In 1914 the British Red Cross formed the Joint War Committee with the Order of St John. Lord Robert Cecil (London Branch of Red Cross) established the Department for Missing & Wounded Enquiry Services. Regulated by the War Office, the Red Cross was declared the only organisation permitted to enquire of the Missing. See <https://www.redcross.org.uk&gt; Offices were set up at 83, Pall Mall; then 20, Arlington Street (lent by Lord Salisbury); later in July 1915 at Norfolk House, St James Square. Offices were also set up in Paris, Bologne, Rouen, Malta, Alexandria & Salonica to liaise with Base Hospitals & Army Rest Camps). In July 1916 during the Battle of the Somme the Department began searching for all soldiers reported Missing whether or not friends & relatives had made enquiries. Monthly Enquiry Lists were made. A total of 342,248 enquiries were dealt with. 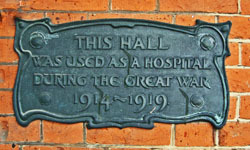 (3) Spalding Hall VAD Hospital, Hendon: Convalescent Military Hospital, 1915 -1919. Given for duration of the War by Hendon Congregational Church, Dec. 1914. Opened 1915 with 20 beds; run by local Middlesex/16 Voluntary Aid Detachment, VAD. 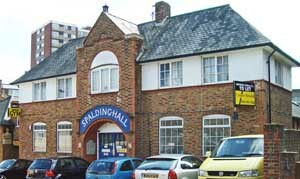 [Named after Thomas Spalding founder member of Hendon Congregationalists]. (4) Sydney Hibbett’s height: in the absence of Army Enlistment details this is useful personal detail. 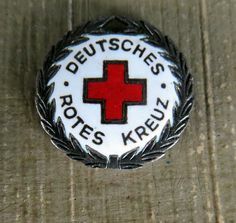 (5) Prisoners: Lists of captured British Soldiers were received direct from Germany through the Frankfurt Red Cross. Repatriated prisoners were sent to Reception Camps in France & England. (6) 6th Earl of Lucan: George Charles Patrick Bingham,1898 -1964. Irish Peer, British Soldier & Labour politician. (Educated Eton. Known as Lord Bingham or Pat). Director of Enquiry Department for Wounded & Missing from Sept. 1916 (aged 18) until close of work, March 1919. Commissioned in Coldstream Guards, wounded & won the M.C. at just 19 yrs. In 2nd World War: became Colonel commanding 1st Bn Coldstream Guards, 1940 -1945 & Dep. Director Ground Defence Air Ministry 1942 -1945. Served under Clement Atlee as Under Secretary of State for Commonwealth Affairs & as Opposition Chief Whip. [Painting by naturalised Dutchman Anton Van Anrooy R.J. 1870 -1949] . NEXT POST: 6th Nov.1916: ‘QMS Flag at Half-Mast for Dear Sydney’. Anton Van Anrooy painter of Lord Bingham 1919.British Red Cross Enquiry Department for Wounded & Missing 1916.Carlton House Terrace SW.Education Offices Walsall 1916.Hendon 1916.Lady Ridley's Hospital SW. 1916.Lord Astor 1914.Lord Bingham 6th Earl of Lucan 1916.Spalding Hall VAD HospitalThe British Red Cross & Order of St John 1916.Thomas Spalding Hendon Congregationalist.Wounded & Missing Enquiry Lists 1914-1916. Previous Post12TH OCT 1916: ‘OUR DEAR BROTHER HAS GONE TO THAT LAND WHERE THERE IS NO MORE WAR’.Next Post6TH NOV.1916: ‘THE GRAMMAR SCHOOL FLAG WILL BE FLYING AT HALF MAST TOMORROW FOR DEAR SYDNEY’.